ON September 9th 2016, the 45th anniversary of the Attica prison uprising, incarcerated workers nationwide staged a coordinated strike to demand an end to prison slavery. Called by the Free Alabama Movement (FAM) and organized through the Incarcerated Workers’ Organizing Committee (IWOC), it became the largest prison strike in U.S. history. The interview was originally printed in Catalan in Solidaridad Obrera, a publication of the CNT, a radical Spanish trade union. before the strike with Melvin Ray of FAM and Cole Dorsey of IWOC. It appeared on IWOC’s website in April 2016. Bennu Hannibal Sun-Ra (Melvin Ray), at Holman Prison in Alabama, is a co-founder and representative of FAM. Cole Dorsey spent three years in prison in Michigan, and joined the Industrial Workers of the World (IWW) a month after his release in 2004. He is currently part of Oakland IWOC and the Bay Area IWW. What can you tell us about the background to this strike? From my experience in prison, collective action is usually taken for a variety of reasons: the quality of food, access to recreation, access to commissary… It is nothing new that prisoners have organized and tried to change things from within. What’s new is that now we are building a solid network of people outside to support, publicize, and amplify these collective actions that prisoners are taking. 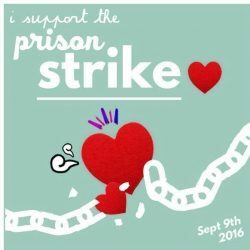 There has been a resurgence of activity in recent years—from the prison strike in Georgia in 2010 to the hunger strikes of prisoners in California, prisoners are taking more and more actions to deal with their conditions. FAM started in 2014. That year there was an uprising at Holman Prison in Alabama; in this struggle, members of the IWW began working with Melvin Ray and FAM to support them. At this time the IWW also contacted Texas prisoners who claimed they wanted to organize. All this culminated in the creation of the Incarcerated Workers Organizing Committee by IWW members. 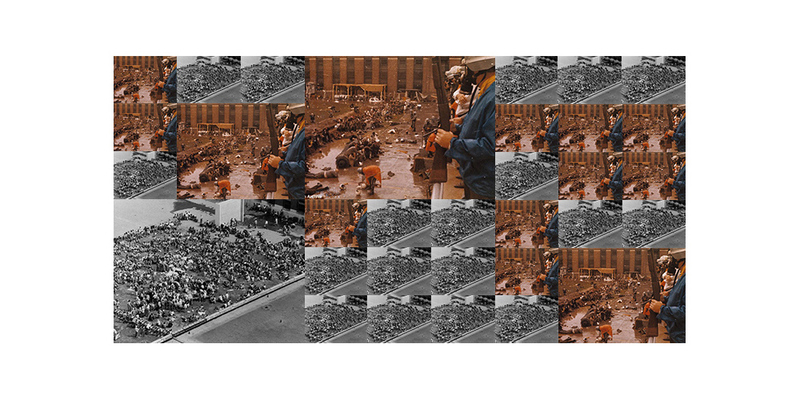 September 9 will be a significant date because this year marks the 45th anniversary of the Attica Prison riot. “Refusing to be slaves anymore,” the prisoners have called for action on September 9 to end slavery in prison. For us at FAM, these protests are following three years of existence and participation in protests and awareness about slavery and mass incarceration. Our first protest, in January 2014 at Holman Prison, was the starting point of the movement. In 2015, after a successful new round of protests, we began to develop the concept and to call for a national protest in a document called the Six-Step Plan of Action of 2015. After that, we began the process of organization. Today that day has arrived. Can you explain how corporations are connected with the management of prisons and the criminal justice system of the United States? Companies have learned they can get huge profits from slavery in prison. Before, outsourcing the work to China, India, and Mexico gave them the benefit of paying low wages in these countries. These same companies are now “outsourcing” these jobs within the country through the prisons. Since prisoners are considered “custody” of the state, companies do not have to pay insurance or taxes, or worry if a worker has an accident. All labor issues are managed by the prison administration. Refusing to work may result in a longer sentence, solitary confinement, and other restrictions. Companies now have a skilled workforce for which they only have to pay pennies per hour within their own country. The prison industrial complex generates billions of dollars. It is a lucrative business that has grown with private prisons. Although the Department of Justice recently announced it is closing private prisons, this will affect only about 10 federal prisons. There are still private prisons at the state level—plus all these inmates will simply be transferred to other centers. With the industrialization of this country, the response of states to control people has been a mass imprisonment that disproportionately affects people of color. With a mass of workers that are barely paid, there is the threat that the bulk of American workers could lose if they are not compliant—their employment could be outsourced to the prison population. Although crime rates have statistically declined over the years, the number of prisoners has skyrocketed. Eighty percent of Black men have been in the U.S. system of “justice” at some point. The indiscriminate killing of Black people by the police, the school-to-prison pipeline, and slavery in prison perpetuate white supremacy in the U.S. Corporations run the prison industrial complex. There are more businessmen involved in politics than ever. Prisons represent savings in operating costs for companies because of normal expenses such as taxes, social security—there is no overtime when the work is done by inmates. Companies finance PACs, then pressure politicians, to their advantage, to pass laws that allow them to access prison labor. Sometimes there are even companies that buy or build prisons directly. But for this investment to work, the company must guarantee that the work is available in the long term. Therefore, politicians tend to pass laws such as “mandatory minimums,” “three strikes,” and all kinds of sentences for drug possession. The result is that there is mass imprisonment in the U.S. with deplorable conditions and abuses—and profits remain very high. Why speak of modern slavery? From my point of view, the term “modern slavery” is wrong, because slavery never ended. There is nowhere in the U.S. Constitution that says it’s done. In fact, many prisons such, as Angola, in Louisiana, were built on old plantations. The plantation became a prison. The slave became a convict. The owner became a jailer. I simply followed the money circulating at the expense of Black people. In our article “Let the Crops Rot in the Field,” I cite research showing that in the mid-1870s, Alabama received around 70 percent of its state budget from convict slave labor. 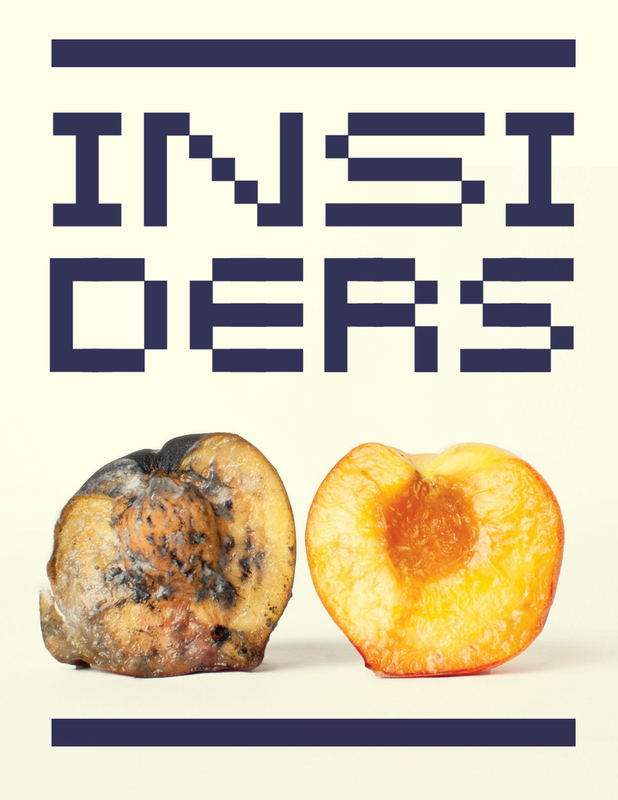 Most state governments still balance their budgets with labor decisions, fines, and legal exploitation through phones, commissary, incentives, and even charging a medical co-payment. But keep in mind that all these costs are borne by people working for free. This is how slavery has always worked. What are the objectives of the strike? What effect do you think it will have? The main objective is to raise awareness about the deception and what is happening, and to show that there is a real and viable solution to the problem of mass incarceration. I have demonstrated that the ability to solve this problem is in our hands, literally, through the work we do as prisoners—not lawyers, or politicians, or the president. All you have to do is let the crops rot in the ground. Let the factories remain idle. Let the products of the cafeteria rot. When you remove the economic motivation and improve the conditions of workers in the prison system, all the judicial and police structures for control and capture of prisoners must change to treat us like human beings rather than slaves. Initially, I think state repression will be very hard against the prisoners on strike. I have no doubt they will be placed in isolation or segregation, and their belongings will be confiscated and their few rights will be restricted indefinitely. So we think it’s important to create a strong network of support from outside, so that we can mobilize and help them against repression. But the long-term hope is to open a national discussion about the fact that slavery must end. The companies and the state are making a lot of money by putting people in prison, and mass imprisonment has been used as a means of social control and to perpetuate white supremacy. I see our efforts, inside and outside prison, leading to a mass movement to end slavery and white supremacy … and a general strike to end the capitalist system that sustains it. What organizations are supporting the strike? The prisoners are those who call the strike. IWOC is in full support, informing its imprisoned members and trying to promote the strike in all possible ways. It has created a hotline that prisoners can call 24 hours: 816-866-3808. 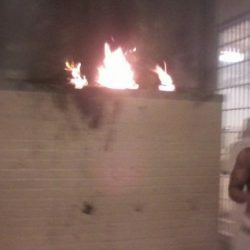 The National Lawyers Guild has decided to support each prisoner who suffers reprisals for participating in the strike. This link lists groups that have supported the strike. What is the relationship between the IWW and IWOC? How many members are part of IWOC? 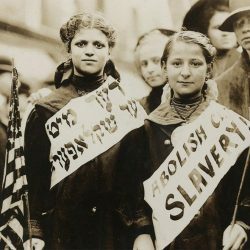 IWOC was created by members of the IWW. It is a link for prisoners organizing to build solid bridges among themselves and with outside workers. There is a national IWOC committee and a dozen local groups; there are about 800 prisoners and IWW members who are also part of IWOC throughout the country. IWOC was created to work with FAM because we had many differences with purely union organizations that focus exclusively on wages and working conditions. At FAM, we could not even ask how prisoners are treated like slaves to organize employees. A slave on a plantation cannot pay union dues. For us, especially for the Black masses, this is part of our 460 years of struggle for freedom from slavery in America. What is the attitude toward prisoners on strike? Is there a lot of tension in the prisons? How have the authorities responded so far? No one has seen or experienced anything like this, so there is a wide range of feelings. There is tension, but there is always tension in prison. Authorities are responding as their owners say to respond to a threat to a multimillion-dollar business: repression without worrying about the consequences. Remember, judges and prosecutors are all in the same boat. For example, Sidique Hasan of Lucasville, and member of the Free Ohio Movement, has been visited by the FBI and has been put in solitary confinement for being a spokesman of the movement. What are the actions that are being called for September 9? There are planned actions in prisons and against companies that benefit from slave labor in about 50 cities. Many cities are planning to hold film viewings and public debates on that date and afterward. Other actions will include noise demonstrations outside prisons throughout the country, to let the prisoners know they are not alone in their struggle. You can find out more information about these actions here. How can we support this fight from abroad? The statements of solidarity help. These have been received from prisoners in Greece, Bulgaria, and Mexico. We ask people not to buy products from companies that profit from prison slavery. 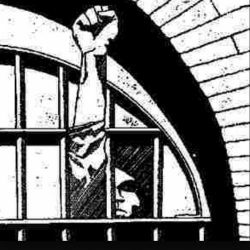 We would like to see prisoners organize globally as part of “one big union” that uses the strike as a weapon to fight against austerity and white supremacy. IWOC has representation in England, and hopefully more unions, prisoners, and other people involved in supporting prisoners and their collective actions worldwide. 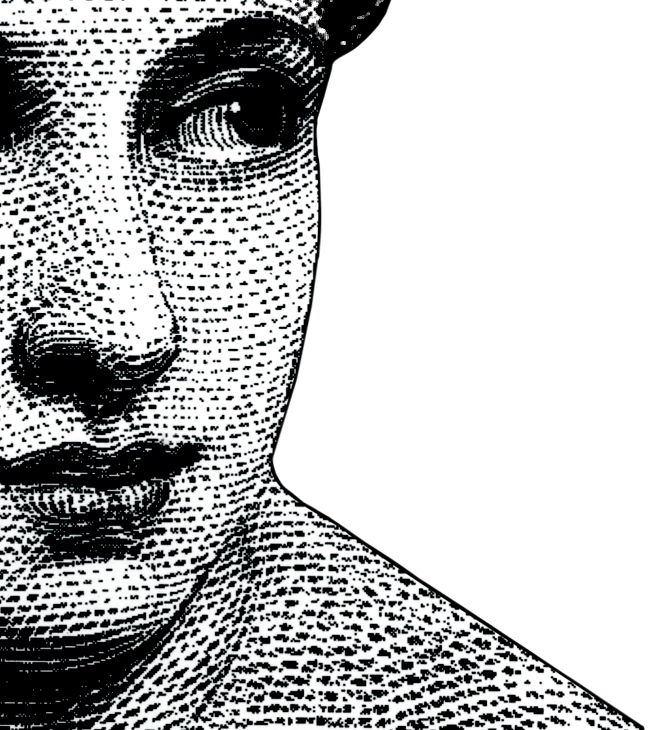 Abolition presents itself as the most contemporary political endeavor and at the same time as the most venerable. Because the prison is everywhere, there is no way forward without its end.